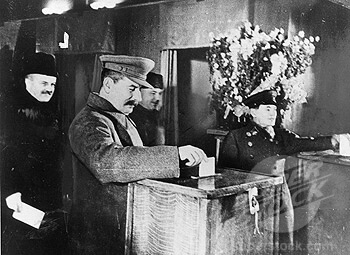 ‘Stalin casts his vote in first Soviet election’, 17 December 1937. 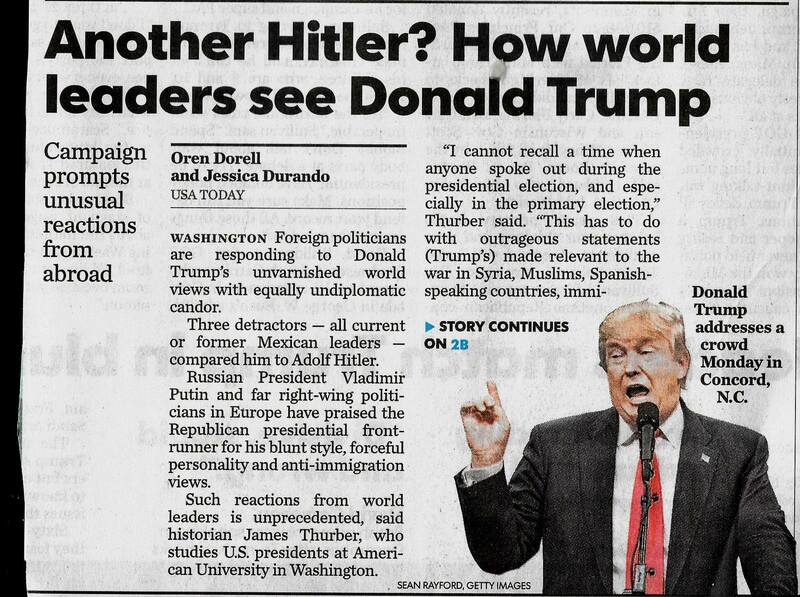 Recently, conservative historian Max Boot (who was born in Moscow in the Brezhnev era) said “I would sooner vote for Josef Stalin than I would vote for Donald Trump” So now three totalitarian leaders from the 1930s and 40s have been mentioned this election season. Can Tojo be far behind? As discussed in Remember, Italians voted for Mussolini, Trump has retweeted quotes from Il Duce. 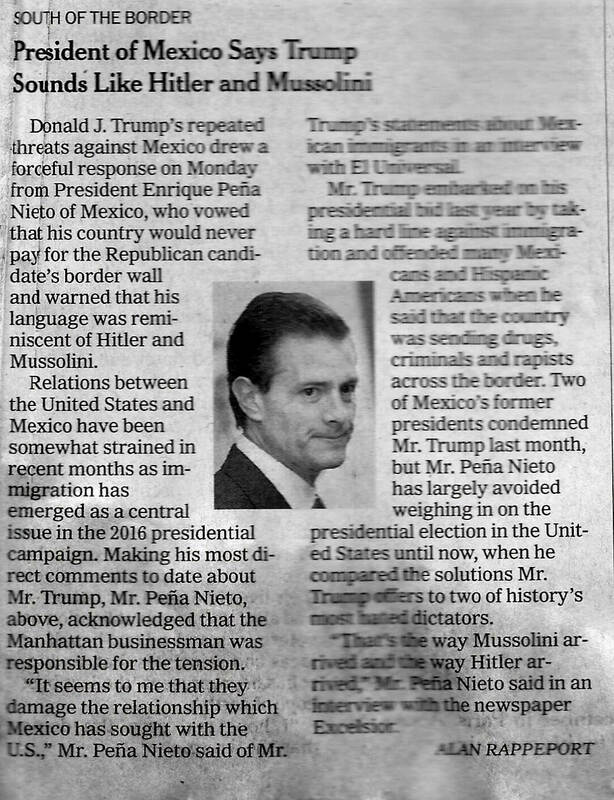 And the other day, the Mexican president likened Trump’s tone to Mussolini and Hitler (see Why Wehner will not have to not vote for Trump). As for Boot and Trump, yes, ranking Trump below Stalin on your electoral dance card is not flattering. Yet, at the same time, except perhaps that Stalin is dead, Boot did not completely disqualify the man of steel as a candidate. As for playing coy about Stalin, you know, Boot is pretty right wing and was born a communist. And — as Trump would say — Stalin was a “winnah,” voted the Supreme Soviet in ’37, ’46 and ’50. Each time topping 99% of the vote. ’50 was Mr. Steel’s best at 99.7, making a nice little rally after only 99.2 in ’46. Historically, unlike Hitler and Mussolini, Stalin’s rise to power did not come through national elections. 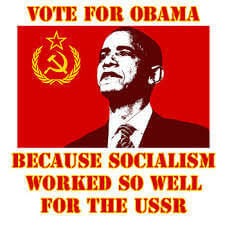 However, in 1936 the Soviet Constitution was created and in 1937 ratified by the people. In the more parliamentary soviet system, the Supreme Soviet was chosen by the legislature, but Stalin still had to face the voters. In a famous 1936 interview with Roy Howard, one of the founders of United Press International, Stalin twice discussed how “lively” he expected the upcoming elections to be. However, during the 1936/37 election season the Moscow Great Purge Show Trials were also taking place. During those trials which were the reality TV of its times, getting voted “off the Bolshevik island” meant Siberia if you were really lucky. In the political theatre world of Moscow, elections with only one candidate — the Nate Silvers of his day pimped Stalin at over/under 99.5% — couldn’t compete for eyeballs with an unrepentant and unbowed Bukarin scowling for six months as the revolution devoured its children. Not surprisingly, Stalin ran a low key campaign; only one speech is on record from December 11th, 1937 at the Bolshoi Theatre in Moscow. Stalin telegraphed his confidence by highlighting he was a candidate in the Stalin Electoral Area of Moscow. It helps when your district is named after yourself. Stalin won three terms. Maybe we should give Obama another chance. Never in the history of the world have there been such really free and really democratic elections—never! History knows no other example like it. . . The point is that our universal elections will be carried out as the freest elections and the most democratic of any country in the world. Today, Stalin’s rhetoric sounds monstrously ironic: like a stump speech from Sadaam Hussein. At the same time, in Stalin’s interview with Howard, Stalin explained why soviet elections should not be expected to look like western democratic elections. In the west, political parties are based upon competing economic interests. But in the Soviet Union, competing political interests — labor and capital — have been eliminated. Further, comrades, I would like to give you some advice, the advice of a candidate to his electors. If you take capitalist countries you will find that peculiar, I would say, rather strange relations exist there between deputies and voters. As long as the elections are in progress, the deputies flirt with the electors, fawn on them, swear fidelity and make heaps of promises of every kind. It would appear that the deputies are completely dependent on the electors. As soon as the elections are over, and the candidates have become deputies, relations undergo a radical change. Instead of the deputies being dependent on the electors, they become entirely independent. For four or five years, that is, until the next elections, the deputy feels quite free, independent of the people, of his electors. He may pass from one camp to another, he may turn from the right road to the wrong road, he may even become entangled in machinations of a not altogether desirable character, he may turn as many somersaults as he likes—he is independent. 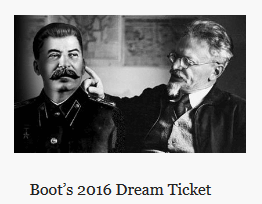 Give capitalism the [Max] Boot — vote Stalin! In today’s climate, Stalin might be describing politicians who once inside the beltway pass from one highest bidding lobbyist to another. Not that Stalin would do that. If we are to take seriously Stalin’s political aphorism to avoid people you cannot say what they are, should it be Hillary or Donald? Someone like Cornell West who just called Clinton a “milquetoast neo liberal” would put her in that shape shifting, amorphous category. And for Trump, maybe Jimmy Carter was right when he told the British House of Lords that Trump is totally malleable. As for Trump being a candle for god, don’t expect the Pope to come calling. And would Trump really poke his rich friends where the sun don’t shine if they deserve it? Whose left? Where’s Gus Hall when we need him? Speaking of communist presidential nominees, during the era of the first Soviet national elections, very honorable Americans ran on the communist ticket. 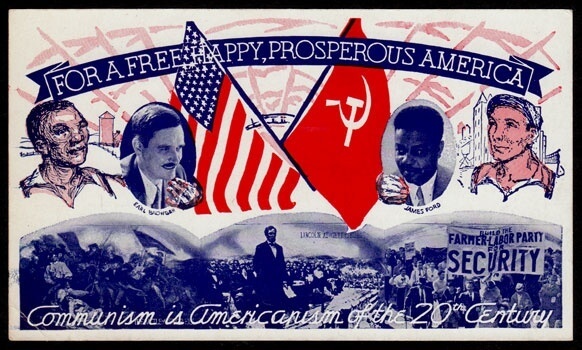 During the Depression, the Communist Party offered a clear alternative, especially in ’32 with Willam Z. Foster/James Ford (an African-American) and in ’36/’40 with Earl Browder/Ford. Now if Boot had said, “I’d sooner vote for James Ford than Donald Trump,” that would have been interesting. 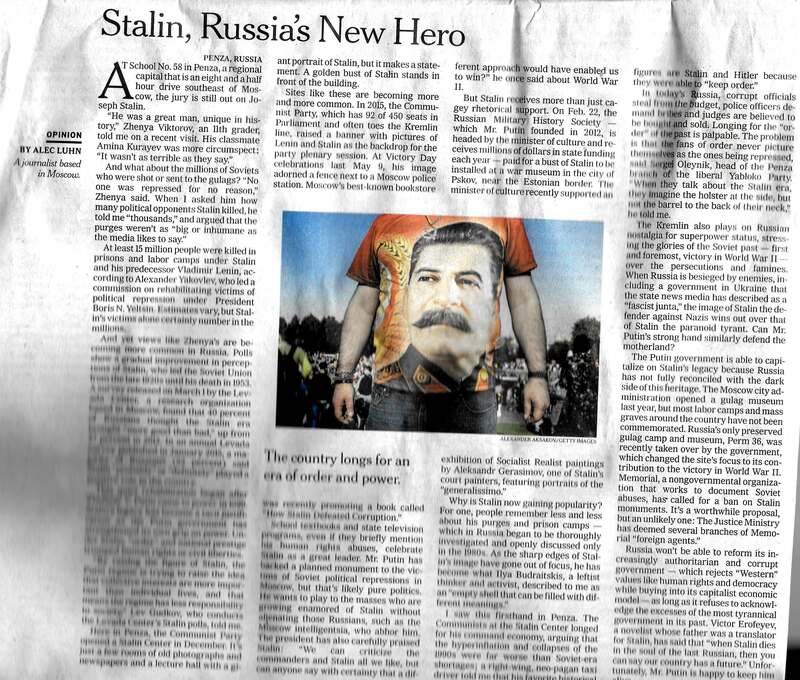 from New York Times, 3/13/16 Apparently Stalin is still popular in the old USSR. Time for a 4th term?